The year-end transition is again replete with the consideration of resolutions concerning possible changes in behavior, activities or other patterns of action. Little seems to be known or reported about how many of these benchmarks or objectives are fulfilled or about how contented those who made resolutions are as the New Year unfolds. With Congress scrambling to agree on ways to reduce the deficit, U.S. Public Interest Research Group (U.S. PIRG) released a new analysis pointing out a clear first step to avoid the “fiscal cliff”: closing offshore tax loopholes. 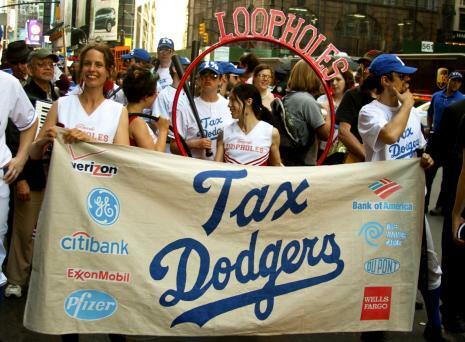 Many of America’s largest corporations and wealthiest individuals use accounting gimmicks to shift profits made in America to offshore tax havens, where they pay little to no taxes. This tax avoidance costs the federal government an estimated $150 billion in tax revenue each year. U.S. PIRG’s new data illustrates the size of this loss with 16 dramatic ways $150 billion could be spent.